We love Bangkok! It’s big, chaotic and for first-time visitors maybe overwhelming. How to make the most out of your visit? 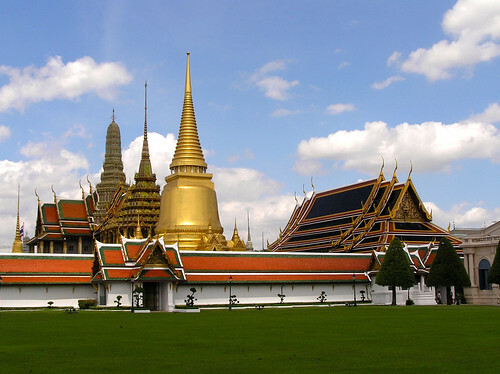 We help you by listing 8 Best Bangkok Temples. 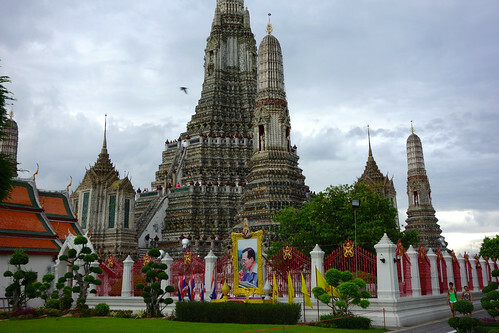 Between 2009 and 2015 we have been visiting Bangkok multiple times. Honestly, we just can’t get enough of the happy chaos, the street food, the shopping, the vibrant city culture, and even the (artificial) Khao San Road is one of our favorites (Khao San is not the authentic backpacking street it used to be but still lots of fun!). 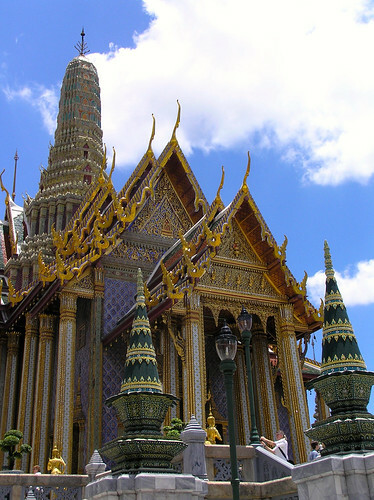 One of the most impressive Bangkok sights are its temples. 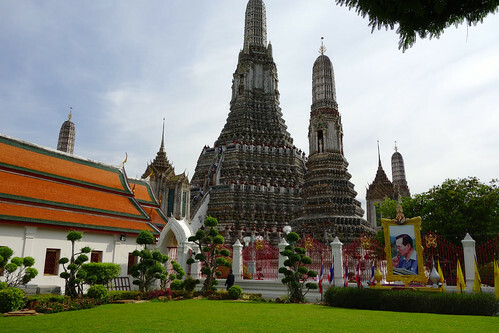 Bangkok has hundreds of temples (I stopped counting at day 1), big and small. You will find them around every corner; some hidden away behind modern concrete facades with hardly any visitors while others are illustrious attracting huge crowds of tourists. 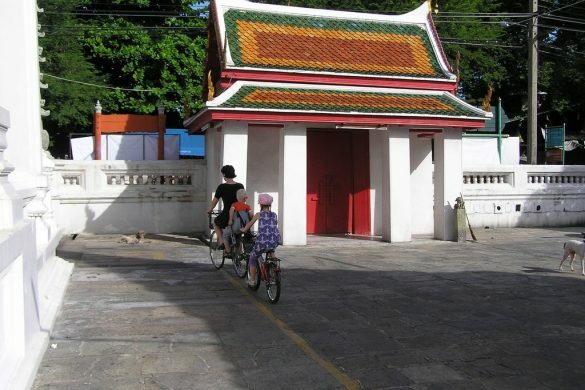 Temples in Bangkok are all around and part of daily life. Take your time to sit down and watch locals perform their religious ceremony. Inside a temple you will quickly forget the hectic world around you. 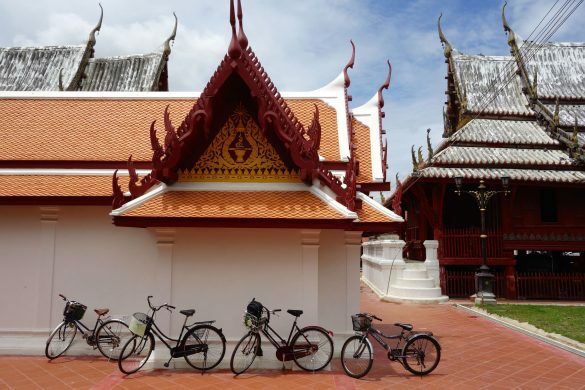 Here are our favorites: 8 of Bangkok best temples that should be on your list! The area around the temple is also great for another first encounter with Bangkok: right outside the temple walk the small alleys where Buddha statues are being manufactured and renovated. You will love it. Look at this earlier blog post to read more about this. 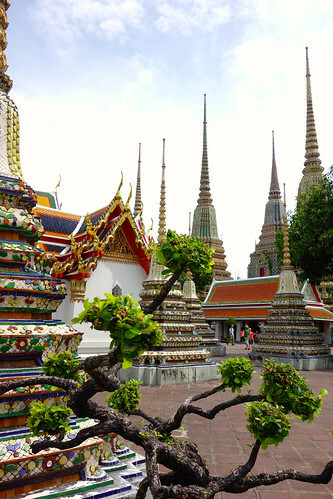 Wat Pho also hosts a leading massage school in Thailand, so you can get your massage right here after a strenuous temple visit…. The Marble temple. Official name Wat Benchamabophitr. Famous for the Italian marble used to build the main ordination hall, but we were far more impressed by the living quarters of the monks. Small alleys where monks stroll and prepare themselves for yet another prayer session. We did not know about this temple before, but were so glad to have found it during our last trip in 2015. 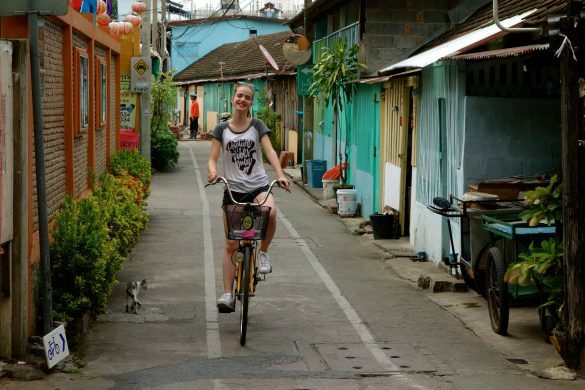 I hope you find this list helpful when planning your visit to Bangkok. Do you miss a temple that you really like? Just leave me a comment. Of just tell me which of the 8 you like the most! 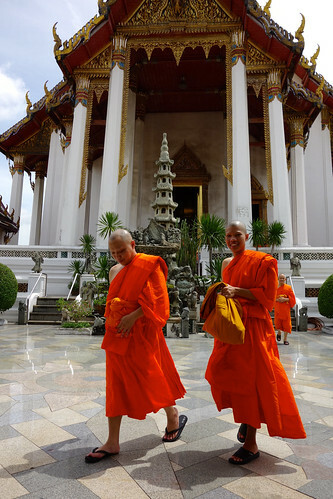 Great photos and a great guide to the best temples in Bangkok. Thanks for sharing. First off – great photos. You have a great eye for composition. 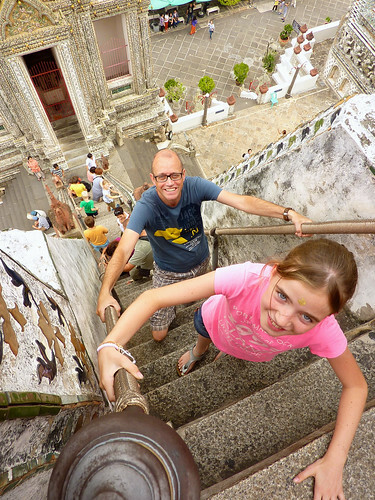 I think I’d check out Wat Arun now that I know where to snap great photos on the grounds and that you can actually climb one of the towers. 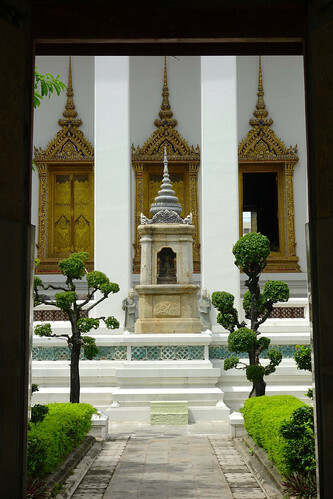 I also like the looks of Loha Prasat because red is my favourite colour. Thanks for the compliment Miranda! Are you planning to travel to Bangkok again this year? This is a great guide! There are so many temples that it can get overwhelming. Thanks for making it easier! Thanks Val. There are and I am happy to know that this little guide will make life a bit easier for travelers! 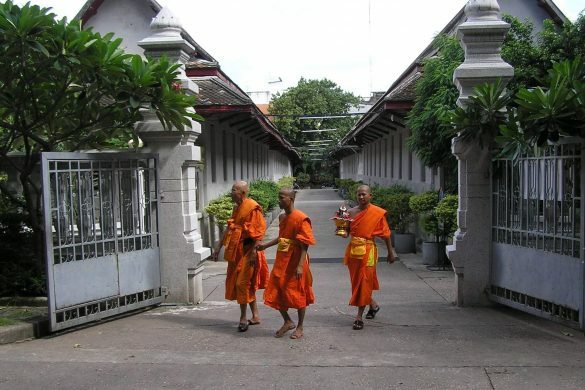 I visited Wat Intharawihan a lot, but that’s because it was near my work on Wisut Kasat Road, not far from Khao San Road. It’s a very high golden Buddha. I know that one Denise! The huge Buddha statue. We stayed at a lovely guesthouse which was literally around the corner of Wat Intharawihan (called Phranakorn Nornlen; very good one). Thanks for adding this one to the list! I should correct myself. Did visit the temple at the Grand Palace and the reclining Buddha. You make me want to go back to Bangkok. In the 3 weeks we spent there, we visited not one temple. We thought that’s what you were supposed to do in Chiang Mai. 😉 As usual, your photos are captivating. 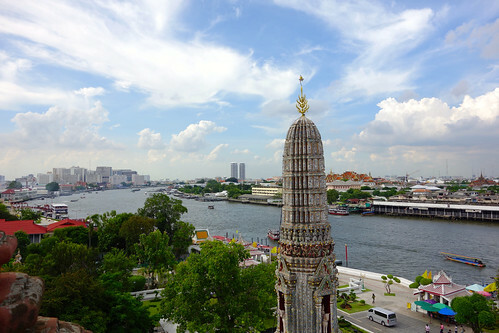 It actually is one of the best things to do in Bangkok, just to escape the chaos and relax a bit. I thought earlier that it would not make sense to write about Bangkok because there is already so much content out there, being the place to be in Asia. Luckily I am wrong. For me, all future trips to Asia route through Bangkok. Love it so much.